In your home, your boiler is a vital part of your central heating system. The boiler - as the name suggests - heats up the water which is then circulated around your home to the required appliance. At RK Boiler Heating Solutions Isleworth and Hounslow, London, we can install a central heating system in your home and can make sure that all of the appliances are working as they should. Central Heating works like a circulatory system by creating a flow of hot water that goes around your home. The water is constantly flowing from your boiler to the radiators in the house, spreading warmth through each room. The cooled down water is then transported back to the boiler to be reheated and re-sent through the house. 1. Natural gas is transported into your home from the pipe in the street outside. The gas then enters your house through the domestic gas meter and from there goes to all your gas appliances, e.g. cooker, fire and central heating boiler. 2. The boiler contains a gas burner, which when turned on warms up the heat exchanger where the heat is transferred to the water inside the piping. This piping is wound around itself several times in order to allow as much heat to transfer into the water as possible. 3. This water is then pushed around the house in a circuit by an electric pump in the boiler. 4. This circuit is made from the copper or plastic piping which runs through your house from the boiler to all of the radiators. Once the water has passed through the radiators and has transferred the heat, it returns to the boiler to be reheated. 5. 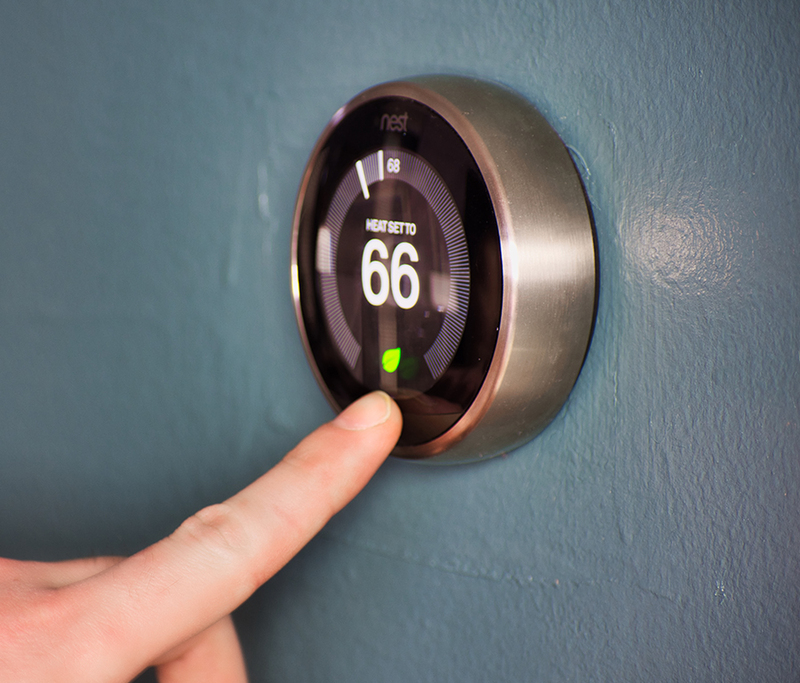 You can control the temperature of your central heating through the thermostat. Once your house is at the set temperature, the boiler switches off automatically. It will turn back on if the temperature drops below the temperature set on the thermostat. Your central heating and boiler system are also responsible for heating your shower, bath and hot taps. This heating process takes place in your boiler as well but in a secondary chamber, separate from the chamber used for the central heating. The two circuits use a different water supply as well. The central heating uses a closed circuit where the water is only changed if done manually. On the other hand, your taps run off the water mains and in order to have hot tap water, it must first pass through the boiler to heat it up. If you are looking for a professional central heating installer in Hounslow and Isleworth, London, then give RK Boiler Heating Solutions a call on 07708179372 or send us a message through our contact page.